When people think Korean food, the first words that usually come to mind is “Korean BBQ”. 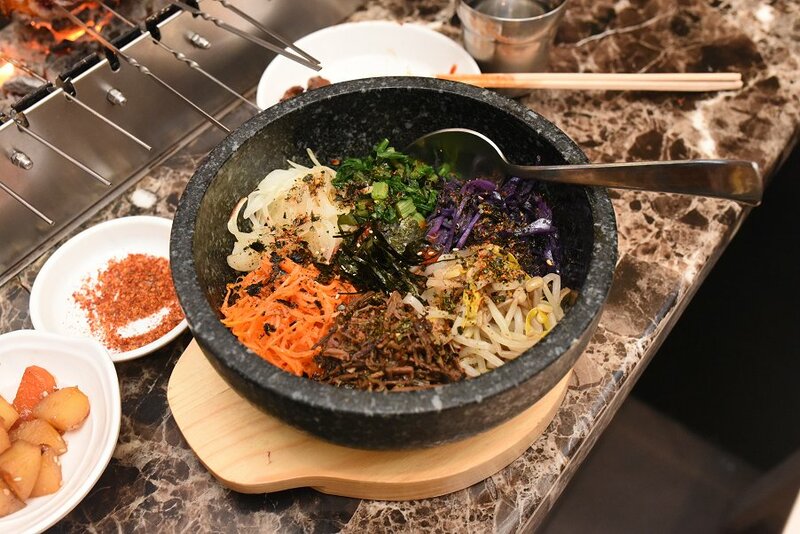 Sure, there is more to Korean food than BBQ, but it’s something that Australians can relate to. There’s a new Korean BBQ restaurant on Hutt Street in the CBD called Gong Korean BBQ Restaurant. It does have a traditional a la carte menu, however, a lot of people come for the Dinner BBQ Buffet. For adults, it’s $29.90 (cheaper for kids) for 90 minutes service time. Unlike other Korean BBQs, it’s not a charcoal stove in the centre of the table but a small rectangular charcoal pit. The pit is fitted with hydraulics which rotates specially made metal skewers. 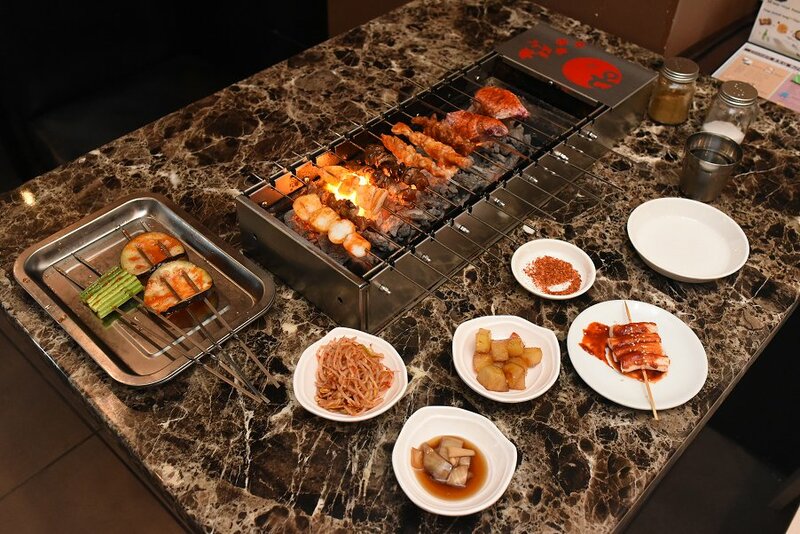 Customers can order a wide variety of skewers with various proteins, Korean fried pancakes and some traditional mains. Korean salads are also complimentary, however, we did note that there was no Kimchi. We pretty much ordered one of everything to see what the food was like. Be careful! There are penalties for food wastage. Our picks were the Beef Stick, Chicken Stick, Chicken Wings and Eggplant Stick. We found the Lamb Stick to be too fatty. Within our 90 minutes, we were able to order 3 rounds of food, so on average, it takes 30 minutes for the food to be cooked. 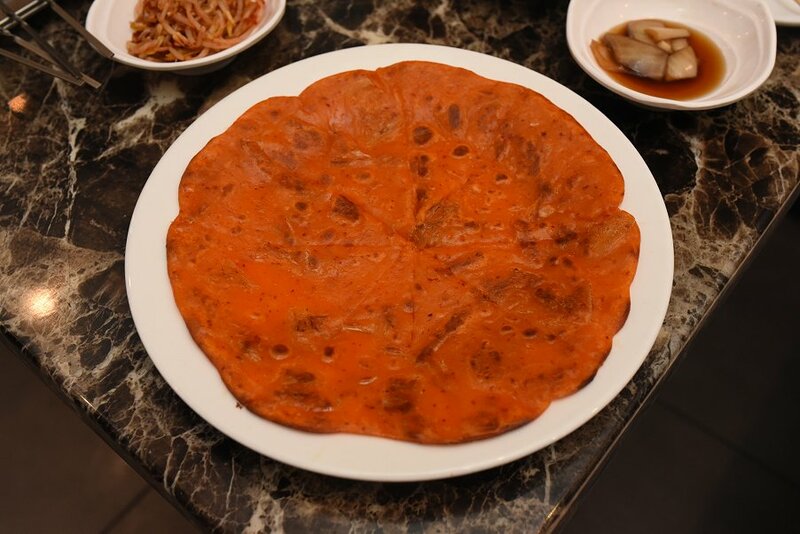 During the first round of cooking, the Fried Kimchi Pancake arrived. It was a nice reddish colour from the kimchi. The texture was firm but delicate, and you could see thinly sliced pieces of onion throughout. A little oily for our liking but it’s consistent with other places. After the second round on the BBQ, the Dolsot Bibimbap arrived. We liked how it served in a hot stone bowl and the presentation wasn’t too bad. It was missing an egg and it could have done with more Gochujang sauce (Korean red chilli paste). The service was above average. The staff were friendly and attentive when the restaurant wasn’t busy but that slowly dropped off as more people came in for dinner. We did like how they checked on our meat for us and the changing of the charcoal is something that other Korean BBQ eateries do not do. Plates were cleared as we finished and as a whole, we were happy with the service. Was it worth the $29.90? Certainly! As mentioned earlier, 90 minutes will get you at least 3 rounds of food and you’ll certainly get your monies worth during that time. The quality of the food is certainly up there, however, we could see room for improvement.